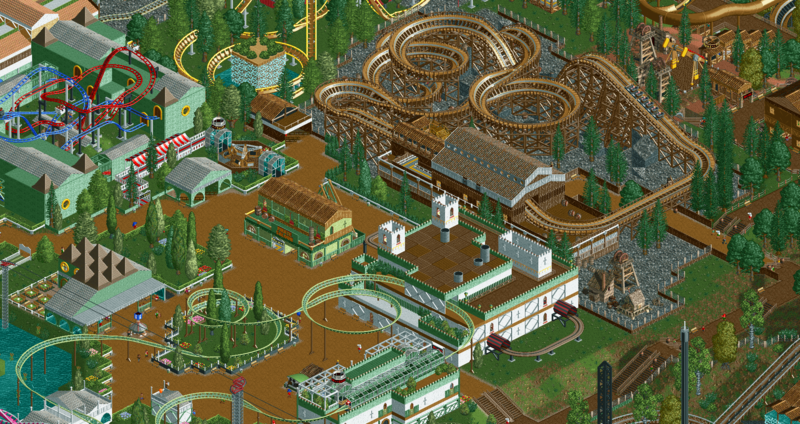 OpenRCT2 is an open source re-implementation of the game RollerCoaster Tycoon 2. The source code of this project can be found on Github. From the moment I heard about an open source re-implementation of one of my favourite games, I hopped in right away. I’ve always liked to know how games I play work, I’ve always tried to figure out how the developers made it, and this project was a big opportunity to see how RCT2 was made. At the beginning I mostly looked through the code, playing with it and figuring out how all of it was connected to each other. The way map data was saved interested me, and by looking at the code I was able to find the purpose of a few unidentified flags. OpenRCT2 has become one of the first things I play with whenever I have free time, both the game itself and the code. Most of my commits to the projects were bug fixes from both the original game, and bugs that were only in OpenRCT2. Debugging made me more familiar with the code architecture, as it made me look at code that I wouldn’t look at otherwise. Other that fixing bug, I also reported a bunch, as well as feature requests and taking part in discussions. One of the my biggest contributions is the tile inspector, which allows players to click on a tile, view all the map elements on this tile, and allowing them to change their order, and remove them. Changing the order gives players much move control about what elements should be drawn on top of the others, allows for hiding supports, allows players to have fences and walls next to supports, and have control about what elements to hide completely. I’ve been a very active member of the community, on both the developer and the player side, making me the bridge between players and developers. Whenever someone has a question, or an idea for game, I can answer their questions, help them getting their idea to the rest of the developers, and tell them when something is currently being developed. In the community I started a few group projects that turned out to be really popular. The first group project started of as a 100×100 tile big map, and about 10 people joined in to create this park. It took only about 30 turns to fill the map completely. After this group project was finished, it became one of the parks in the default title sequence for the new version of the game.